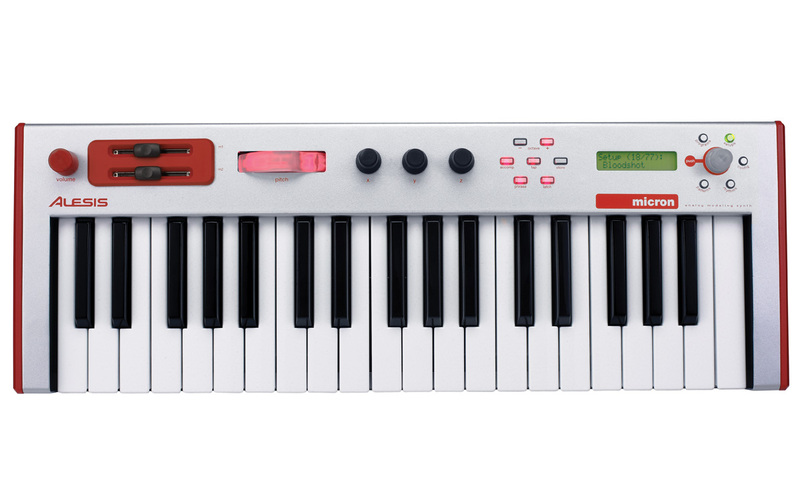 Micron, Clavier synthétiseur à modélisation analogique de la marque Alesis. Astuce donné par Jason verkaart pour utilisé Micron AU en "standalone sur Mac OS X. C'est en anlais mais pas compliqué a comprendre. 1a) Of course, download "Apple Developer Tools" DMG and install. 2) go to [HDD]/Developer/Applications/Audio/ and click "AU Lab". (you can add to the dock also if you like) AU Lab is a tool for developers to test Audio Units, but we can use it to just use Audio Units. 3) when AU Lab starts, it shows "Configuration Assistant". Just press next three times until Untitled (empty) document opens. 4) from Edit menu, choose "Add Audio Unit Intrument". 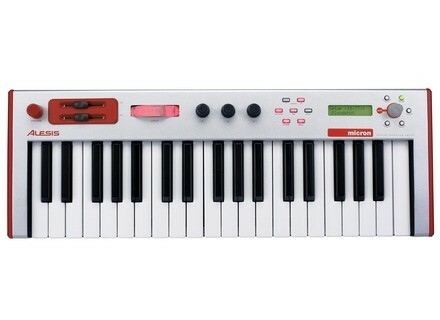 5) for MIDI Input Source, select your USB<-> MIDI interface. Then, for Instrument, select retroware->micronAU. press OK.
6) micronAU will open, BUT before you can use it, you must set "midi in", and "midi out" to your USB<->MIDI device. 7) finally, on your Micron, choose the patch you wish to edit, and select "Send MIDI sysex". micronAU "synced" light should turn green, and parameter knobs will change to show the current patch. 8) have fun tweaking knobs! 9) (optional) Don't forget to save your patch again on Micron once you're done!!! micronAU does NOT make sysex files on your computer. so if you shut it off without saving to Micron, everything will be lost.